A few months ago, I had the absolute pleasure of photography the wedding of Ashlee and Jordan. I photographed their engagement session in Detroit last fall (which was a huge stepping stone for me as a photographer, and I have them to thank for trusting in me) and when it came time to photograph their wedding, I knew it would be fun and relaxed, just like them. Despite how uncharacteristically cold it was for a day in May, the rain held off and the wind was just light enough to add some drama to the photos and everything was perfect. We started the day with Ashlee at Caesar's Windsor where she got ready with the help of her support team (including her three adorable nieces). Then we bounced over to the home of Jordan and Ashlee and hung out with the men while they got ready (with the help of Youtube). Ashlee and Jordan were married at St. John's Church in Windsor, Ontario, which is conveniently located next to Mackenzie Hall, where their reception took place. 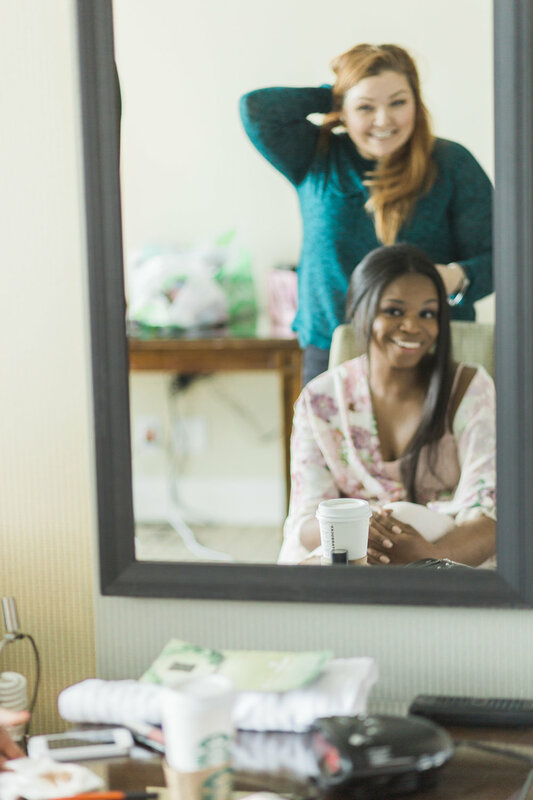 Without a bridal party, we were able to capture some gorgeous and intimate shots of the bride and groom that I hope they will cherish for the years to come. Willistead Manor was the perfect backdrop for these photos and fit the Jordan and Ashlee's wedding style just perfectly. Thank you Ashlee and Jordan for choosing me to capture your wedding day. It was such a pleasure and I wish you both a lifetime of laughs, love, and happiness.